This is a Triumph Crested Black Leather gear shift knob. Fits all Triumphs. You’re not going to throw any random knob in your Triumph. This knob will be a natural fit for you and is made of rich black leather with a medallion displaying the Triumph logo .The shift knob is designed with a hard plastic insert that accommodates a range of shift lever sizes and thread widths. Prior to installing the shift knob, screwing on a jam nut is recommended. 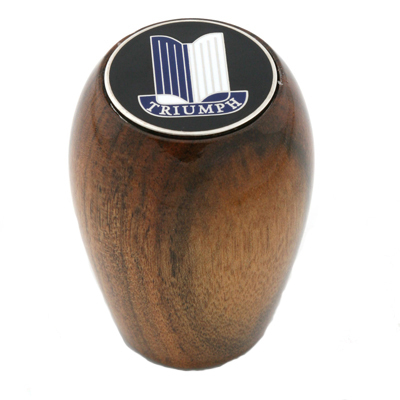 This is a Triumph Crested Wood gear shift knob. Fits most Triumphs. This knob will be a natural fit for you and is made of elegant walnut wood. 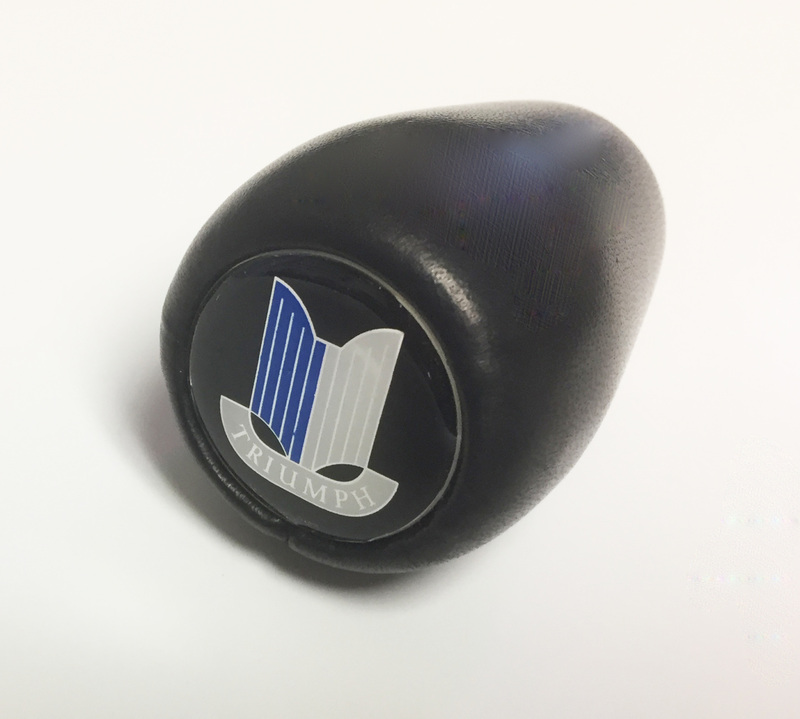 with a medallion displaying the blue Triumph logo .The shift knob is designed with a hard plastic insert that accommodates a range of shift lever sizes and thread widths. Prior to installing the shift knob, screwing on a jam nut is recommended.